In December 28, 1895, about 35 people in Paris saw the first public showing of a motion picture. 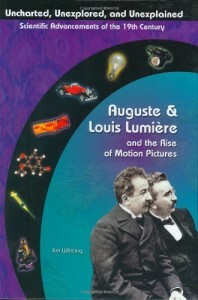 The camera and projector had been invented by Louis Lumiere. Along with his brother Auguste, the two men became important pioneers in making movies.